Blue cheese and walnuts, what a wonderful combination! We have been eating a lot of salads lately and try to keep from getting tired of the waste shrinking meals. Cheeses, nuts, fruits, crunchy things keep the variety coming to the table. 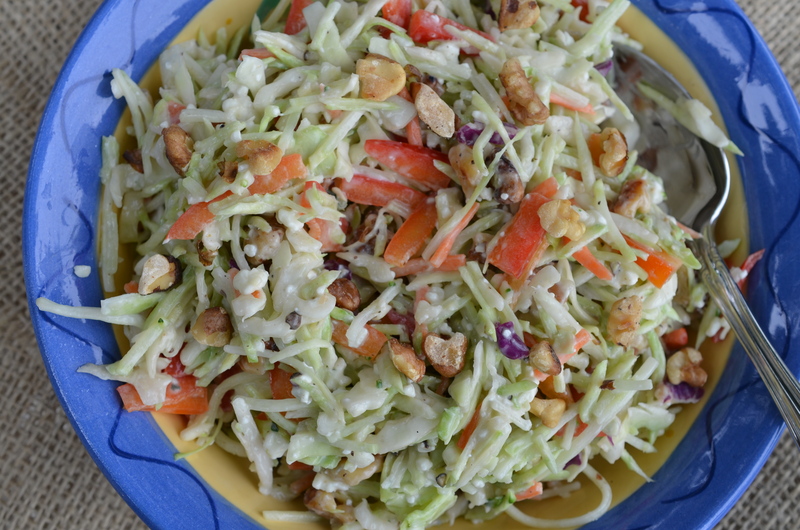 I steered away salad greens last week and dove into slaws, which can go much further than the standard sweet cream Cole slaw. 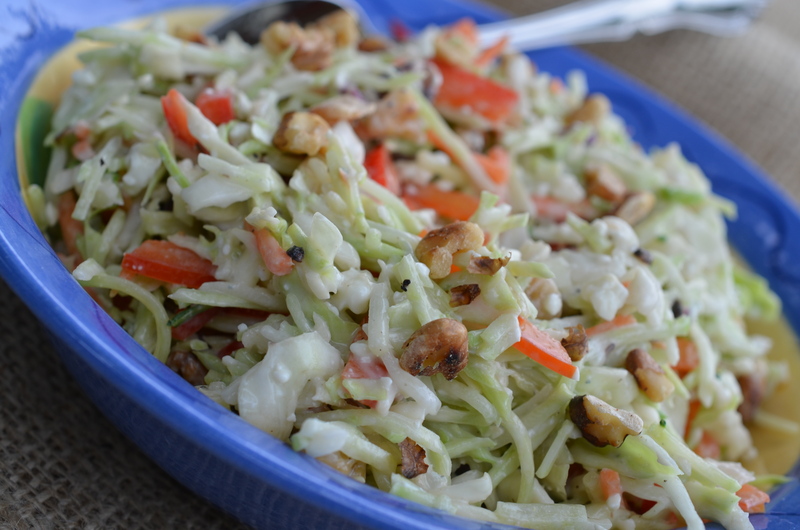 I took this dish from a long time favorite restaurant in Charleston, SC, Vickery’s lead and added in blue cheese to traditional Cole slaw, and then because I think nuts are supreme, but some of them in too. In a mixing bowl add the first five ingredients and whisk well until combined. Add in the vegetables and toss well until lightly coated. Sprinkle the cheese and the walnuts and fold evenly. Refrigerate until ready to serve. 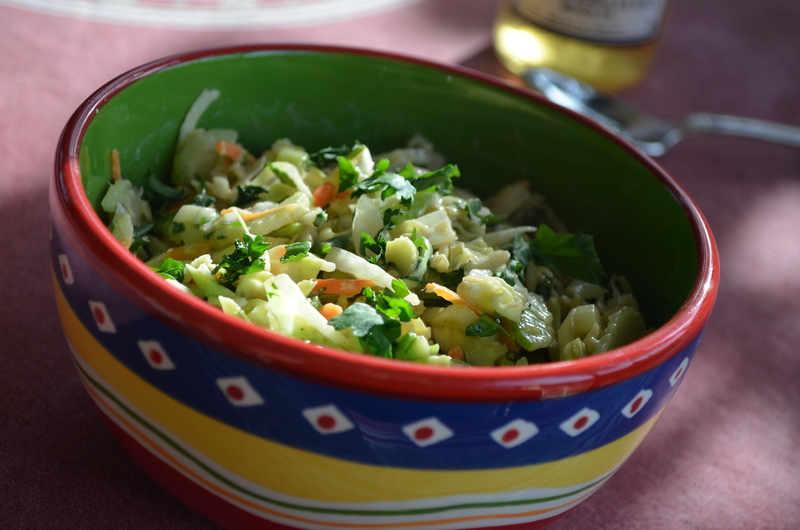 The longer the slaw sits, the more water leaches out of the vegetables. 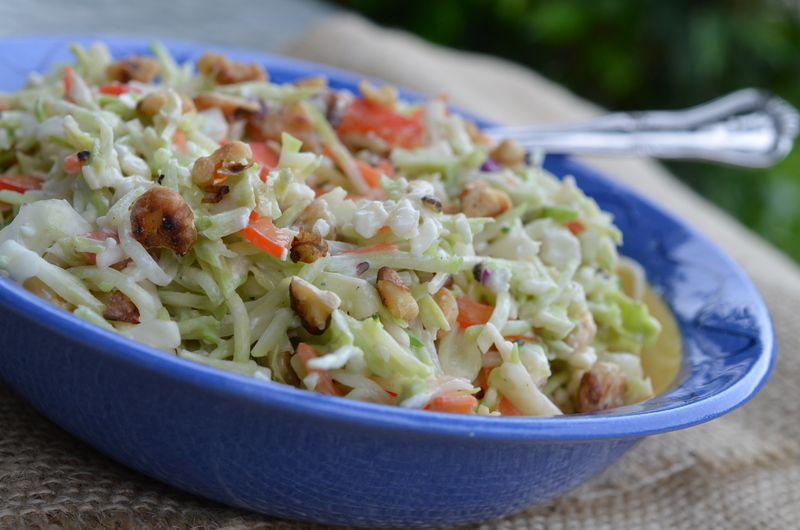 If you make the day before, reserve the blue cheese until you are ready to serve and give the slaw another toss so the dressing gets mixed again. There are a few foods that could be considered an “Art Form”, sushi, bread, soups to mention a few. 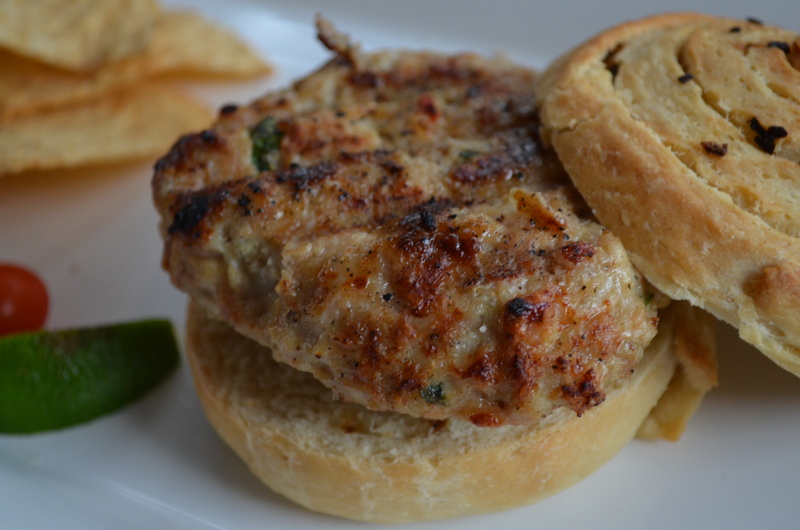 There is one that seems to be in almost every household- The Almighty Burger….often the muse of the head Grill Master. Not every family has a Grill Master, but I bet most do. In our case, my husband Wes is definitely holding this position. As the Head Grill Master, he doesn’t take this title lightly; every meal that come off his grill is in fact a piece of art. 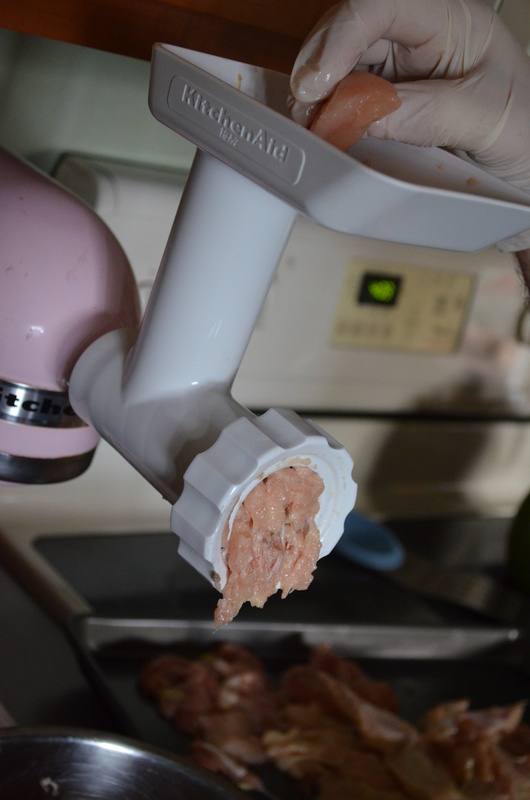 Wes has recently taken to grinding his own meats, so he can consider the ratio of fat to meat, the toughness of the cut, freshness of product, and type of meat, be it farm raised, local or organic or even the best deal of the week. For real… he is in knee deep with developing the “absolute” burger. In the meantime, we are eating superbly! 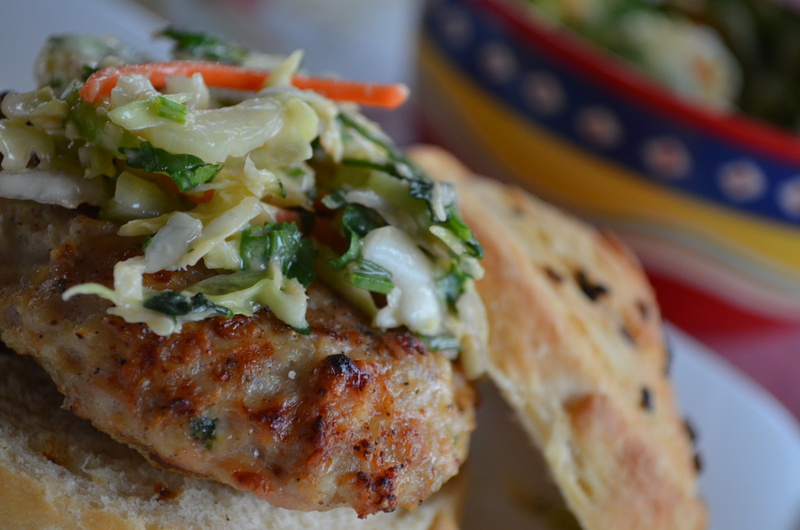 One of his recent expeditions I was able to capture a recipe, and even add to it with a fresh made bun and slaw. Combine all of the ingredients and mix well. 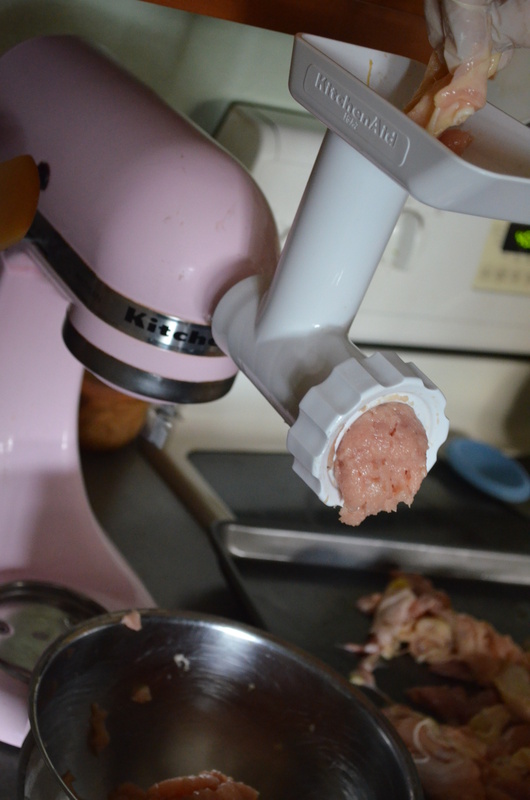 Allow the mixture to sit for a few hours to allow the flavors to blend. 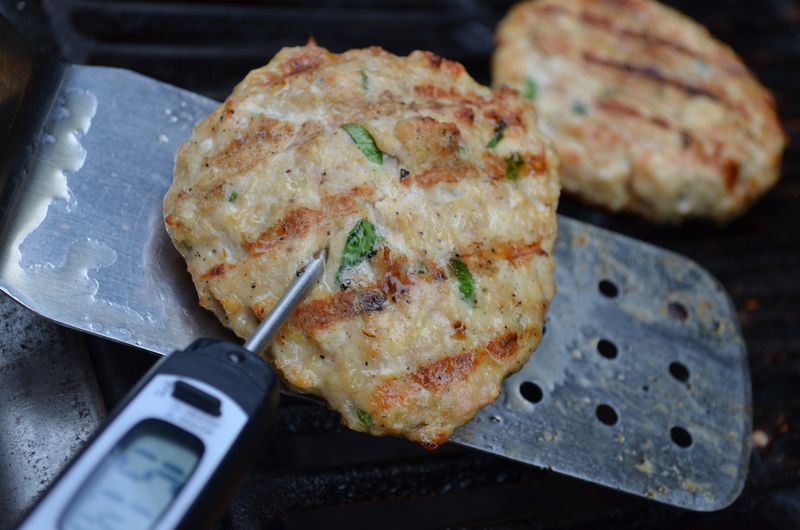 Preheat your grill or prepare your charcoal while scooping 8 -½ cup (4 oz) portions and form patties. When your grill is hot, cook burgers until they reach the safe temperature of 165. Serve and enjoy! 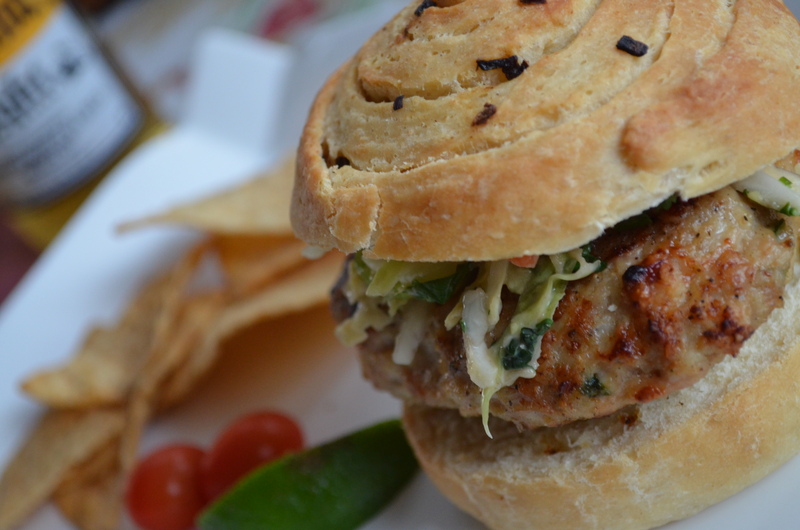 The chicken burger was packed with flavor, and very juicy. 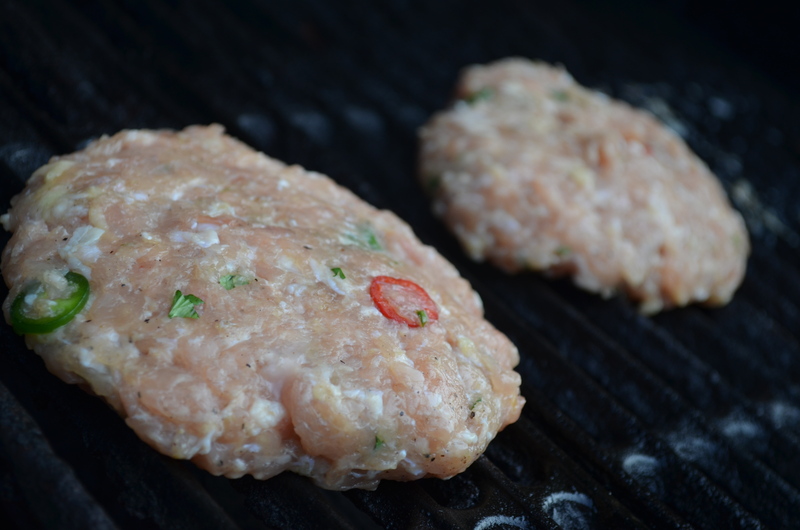 So often burgers made with poultry tend to be dry, but he balanced the breast meat, thigh meat and skin perfectly. While Wes was preparing his inspired burgers and the dough for my buns was rising, I took to creating a salad to top the patties. 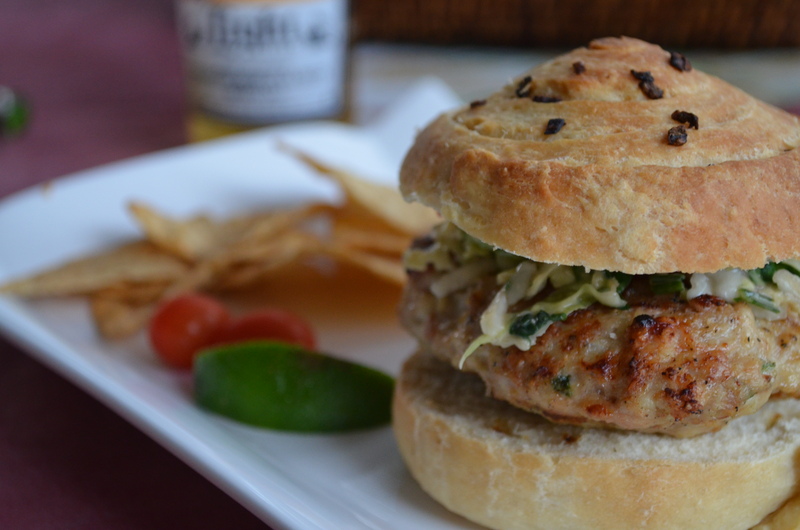 I love the crunch of a slaw on sandwiches, the texture and acidity adds a great depth. In a small bowl, add the ingredients for the dressing and stir together until creamy. 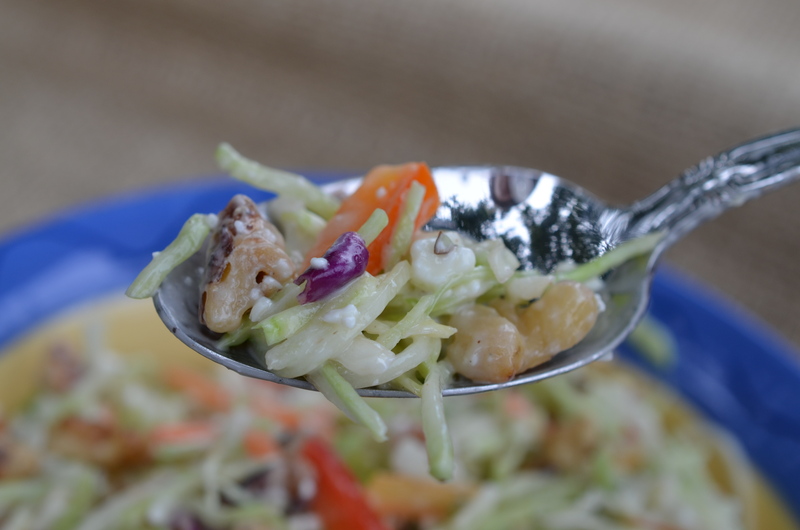 Combine raw ingredients in a mixing bowl, add the dressing and toss well. As in most art forms, the artist is rarely satisfied, but his fans are often thrilled and overwhelmed. So while Wes continues on his search to find the “absolute” burger, and carries his reign as Grill Master, I will sit back and enjoy his artwork! I’d say this Grill Master is truly an Artist!